Business credit cards are those cards which are specifically geared toward business owners. While some cards have specific partnerships, many simply earn bonus points in typical business spending categories. These often include office supply stores, gas stations, airlines, phone services, cable and internet providers, and more. Most of these cards also come with benefits that specifically help businesses, like the ability to open additional cards for employees or earn loyalty program status in hotels. Finally, these cards also usually come with insurance benefits to help protect the business owner, such as purchase, price, and return protections, or warranties. Save on interest with a 0% intro APR on purchases for 15 months, then a variable APR (currently 14.49% - 21.49%). Terms Apply. 0.0% intro APR on purchases and balance transfers for 12 months, then a variable rate, currently 15.49%, 18.49% or 21.49%. Terms Apply. How Do Business Credit Cards Earn Points? As a business cardholder, you will earn points via purchases in everyday business categories. Each business card differs, and your bonus points will vary from two to five points per dollar. Some cards have additional partners you can earn bonus points with. Other business cards are partnered with specific loyalty programs, such as Starwood Preferred Guest, Hilton HHonors, American Airlines, and so on. What Are the Choices of Business Credit Cards Currently? Most major credit card companies offer some sort of business credit card. The two most popular programs are probably the Chase Ultimate Rewards and American Express Membership Rewards programs. However, nearly every popular personal card also has a business card version. Our current business credit cards are the two Chase powerhouses: the Chase Ink Business Cash℠ Credit Card and the Ink Business Preferred℠ Credit Card. These are the only current business cards available from Chase for the Ultimate Rewards Program. The Ink Business Preferred℠ Credit Card has some of the most valuable credit card rewards out there. Earning 1-3x points in some great categories, you won't have any problems earning Chase Ultimate Rewards points! Earn 3 points per $1 on the first $150,000 spent on combined purchases on travel, shipping purchases, the Internet, cable and phone services, advertising purchases made with social media sites and search engines each account anniversary year. In addition, all the points you earn can be used for great travel rewards, whether in the Chase travel portal for 20% off, or you can perform a 1:1 point transfer to leading airline and hotel loyalty programs. You can combine this with the other Chase Ultimate Rewards cards out there to really maximize your travel rewards, and this card costs $95 per year. Another Chase business credit card we have reviewed is the Chase Ink Business Cash℠ Credit Card. 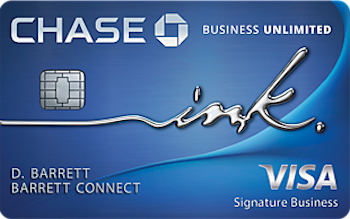 The less-premium version of the Chase Ink Business Preferred℠ Credit Card, the Chase Ink Business Cash℠ Credit Card earns 1-5x points in almost all the same categories. Earn 5% cash back on the first $25,000 spent in combined purchases at office supply stores and on cellular phone, landline, the internet and cable TV services each account anniversary year. Earn 2% cash back on the first $25,000 spent in combined purchases at gas stations and restaurants each account anniversary year. Earn 1% cash back on all other card purchases with no limit to the amount you can earn. 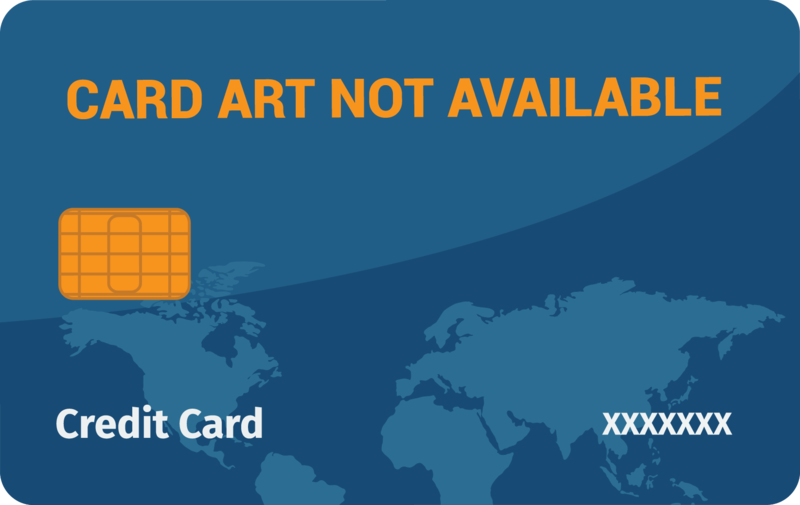 Your trade off with this card is that you won't have access to the travel rewards. However, the card does not carry an annual fee. Reviews of the most popular Chase business cards, including the Chase United MileagePlus® Explorer Business Credit Card and Chase Marriott Rewards® Premier Business Credit Card are available. The Chase United MileagePlus® Explorer Business Credit Card earns 2x point for United purchases as well as at restaurants, gas stations, and office supply stores. It earns 1x points everywhere else. Like the personal card version, the card costs $95 per year and the fee is waived in the first year. You will earn 5x points at Marriott and 2x points for airlines, restaurants, car rentals, office supply stores, the Internet, cable, and phone services on the Chase Marriott Rewards® Premier Business Credit Card. This card costs $99 per year and is waived in the first year as well. Both these cards come with extra benefits in United MileagePlus and Marriott Rewards, so they are worth checking out if you utilize those programs frequently! These cards each have a somewhat different purpose. The Business Platinum® Card from American Express focuses on providing high quality, luxury travel benefits for the business owner. On the other hand, The Business Gold Rewards Card from American Express focuses on trying to help the business owner earn as many points as possible by offering 2-3x bonus points in five different categories. The Centurion® Business Card from American Express only earns 1x points for all purchases but comes with loads of benefits that more than make up for its lack of ability to earn many points. Finally, The Blue Business℠ Plus Credit Card from American Express earns 2x points on everything for the first $50k per year, then just 1x points after. Check out the detailed reviews for more information! If you're looking for another American Express business credit card, you could try the SimplyCash® Plus Business Credit Card from American Express. With the card, you earn 5% cash-back for U.S. wireless phone services as well as U.S. office supply stores. You then get one choice from eight different categories to earn 3% cash-back and will earn 1% cash-back on all other purchases. The 3% and 5% categories max out at $50,000 each, after which you will earn 1% cash-back. The card has no annual fee! The Starwood Preferred Guest® Business Card from American Express is another great choice. You earn 2x points for all stays at Starwood and Marriott hotels and 1x points everywhere else. While this may not seem like much, SPG has some of the most valuable points out there and they all transfer 1:1 to great travel partners, one of which is American Airlines. The card costs $95 per year, but the fee is waived in the first year. The Plum Card® from American Express is another great business card from American Express. With this card, paying early pays off: get a 1.5% discount when you pay early, with no cap on what you can earn back. 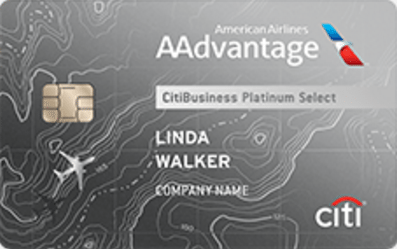 The review for the CitiBusiness® / AAdvantage® Platinum Select® World Mastercard® is now online! With the card, you earn 2x miles for American Airlines purchases, as well as on telecommunications, car rentals, and at gas stations. You earn 1x miles everywhere else. The card has many perks such as priority boarding, a 10% miles rebate, free first checked bag, and a 25% discount on in-flight food and beverage. The last business card coming up is the Capital One Spark Cash for Business. Can't decide which business credit card to get? We are writing articles to help you decide which one would work best for you depending on your situation.